Campaigners claim to have filmed a controversial fox hunt which they say has previously hunted illegally leaving Jacob Rees-Mogg’s country house. The League Against Cruel Sports has released footage of the Mendip Farmers Hunt leaving Gournay Court in West Harptree – the home of the North East Somerset MP. The campaign group allege in January the hunt was caught on camera illegally chasing a fox at another site and have condemned Mr Rees-Mogg for his part in the sport. They say the hunt has been “terrorising locals” and killing their pets. The group has now blasted Tory MP Rees-Mogg for being involved with a hunt they say has hunted illegally before. Chris Luffingham, director of campaigns at the League, said: “It’s nauseating that Rees-Mogg should be supporting such an inhumane and cold-blooded activity. 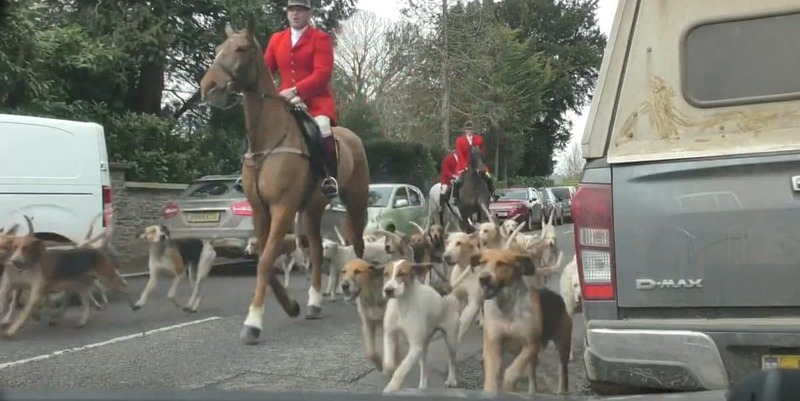 Some local residents have also spoken out against the hunt, claiming they have previously trespassed on private land and allowed their hounds to attack pets. Sarah, a member of Mendip Hunt Watch, said: “The Mendip Farmers’ Hunt have been allowed to terrorise the Mendips area and its residents for too long. Local people who do not agree with fox hunting have been intimidated if they have stood up to the hunt. A spokesperson on behalf of the Mendip Farmers Hunt said: “The Mendip Farmers Hunt operates within the law to comply with the Hunting Act 2004. Hunts are regularly subjected to spurious allegations regarding their legal hunting activities. A spokesperson for Jacob Rees-Mogg said the MP had received notice from Avon and Somerset Police on March 15, confirming they were not aware of any offences committed under the Hunting Act 2004, following a meet on March 2. 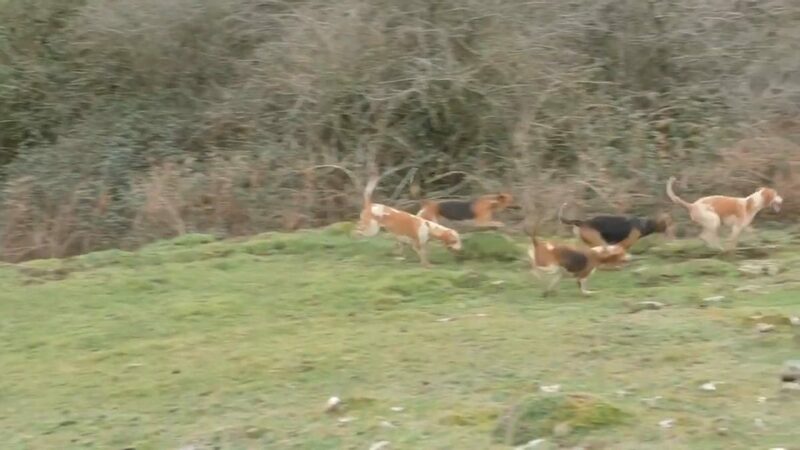 They claim footage obtained by private investigators shows hounds from the hunt chasing a single fox on the Draycott Slaights nature reserve, near Cheddar in Somerset in January.